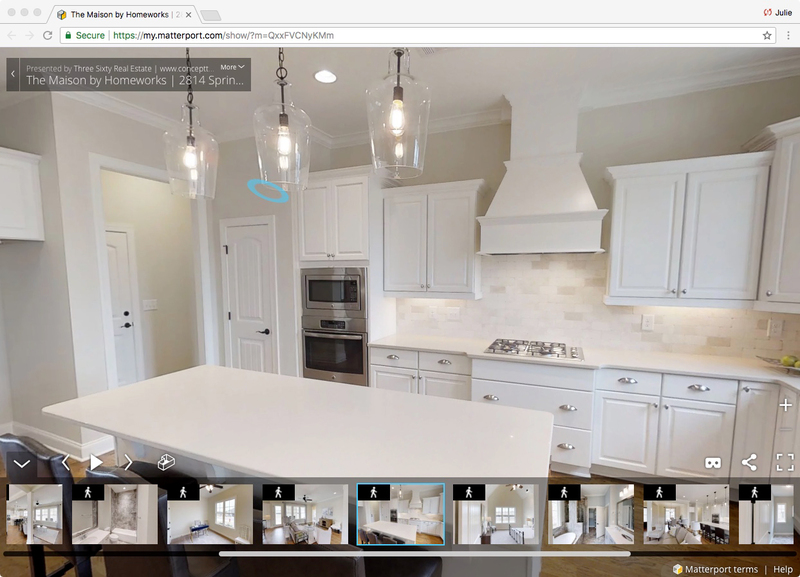 Home page of a Matterport tour, where users can click their mouse to turn the camera around, similar to a Google Earth streetview. Different views can be chosen from the links at the bottom of the screen. Three Sixty has always been an early adopter of cutting edge technology, most recently evidenced by our purchase and utilization of the Matterport camera for 3D virtual tours. 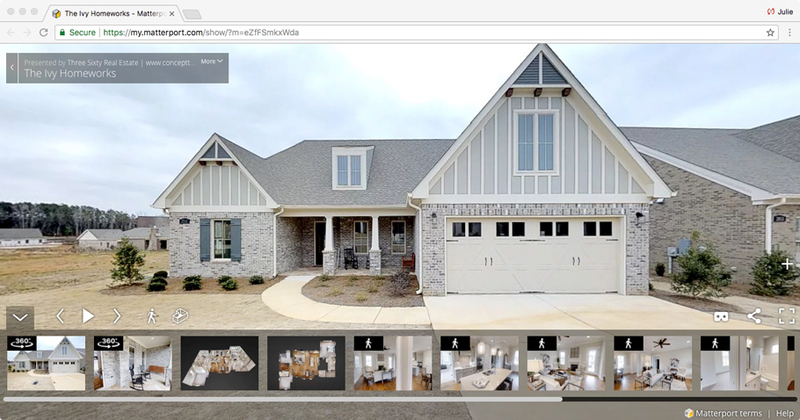 Still the only agency in East Alabama to consistently offer this technology to clients, Three Sixty team member Emmy Martin Sorrells says that the camera is a real differentiator for the firm – sellers love it because it helps them sell their home faster and is a great keepsake of their previous home. Buyers, especially those coming from out of town, love it because they can really get a feel for a home and make a decision about whether to see it before they are even in the area. Floor Plan and Dollhouse views, giving different perspectives of the property that can also be manipulated with mouse clicks. High resolution views of the interior of a property. These tours remain available even after the home sale or purchase has been executed, allowing homeowners a keepsake of their home. At Three Sixty, we are constantly looking for new ways to use technology in order to make the home buying or selling experience as efficient, effective and enjoyable as possible. It is this innovative mindset that makes us a leader in providing superior service to our clients and helps us in creating an inspired workplace for our staff. This commitment to technology is one of our company’s pillars, which you can read more about by clicking here. Interested in viewing a Matterport tour yourself? The images used in this post all come from our award winning 55+ development in Opelika, The Springs of Mill Lakes. Emmy and the sales team at The Springs of Mill Lakes have worked hard to make sure they have Matterport tours of each floor plan so that buyers can see what a plan would look like even if there is not a built home to view in person. Click on of the links below to test drive a Matterport tour for yourself!